This week was filled with all kinds of unexpected kindnesses. Reminded me that there are wonderful people, thoughtful people, still left in the world. The week opened with a bus driver who waited for me at the bus stop. She saw me hurrying across the street with my metro pass-card in hand. Although they’re not supposed to stop if no-one is getting off or waiting at the bus-stop, she waited for me and I was truly grateful! Another day when I needed to refill my pass-card I had to take a cab to the train station. I was short $1.00 on the fare but the taxi-driver said that it was okay. Whew!!!! My co-worker sent me cake through inter-office mail. Just to say “hi”, “thanks for putting up with us”, “thanks for all you do”. It was a wonderful, super tasty surprise. Two Rav pals sending me lovely messages this week. One sending by pm a “hope you’re doing well, thinking about you” message and another sending me a surprise handwritten letter that I’ve been carrying around since I got it. It was heart-warming to receive a hand-written letter; it being from her makes it all the more special. Hope you each had a wonderful week and cheers for the upcoming one! Can y’all believe that we have 6 more weeks to go before we say hi to 2014? Surreal!!!! Wonderful, random acts of kindness so worth cherishing. Thank you for sharing them with us, the list warmed my heart! You’re very welcome. 😀 There are still great people left in the world. I’m humbled and inspired by them. Ain’t it funny how you remember the people who were kind to you …. only after you remember the ones who were not. We need to do it the other way around. 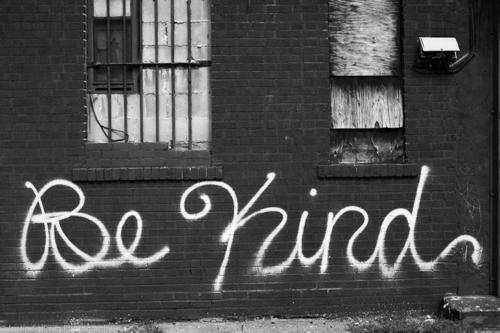 It’s so easy to be kind to one another and I wish everyone would remember . I am so happy kindness touched you, life is good. Have a peaceful Monday. And a peaceful Monday to you too Tracey. Your well-wishes are kindness personified. ♥ What a wonderful sentiment for me to start the week with!